Mary Lou LeCompte, Ph.D., is recognized as the leading scholar on rodeo cowgirls. She wrote the book, Cowgirls of the Rodeo: Pioneer Professional Athletes, now in its second printing, in which more than 600 interviews were conducted with female rodeo competitors. Additionally, LeCompte has published several articles, contributed to books, and has been awarded many research grants for her efforts. She oversaw all of the sports entries for theHandbook of Texas, several of which helped to ultimately ensure that the cowgirls and the sport of rodeo were appropriately recognized. 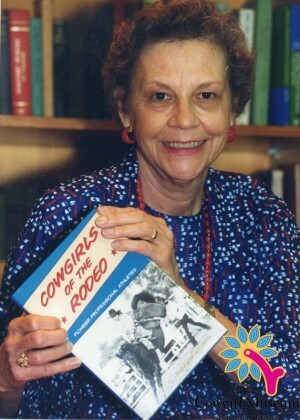 After composing her foundational book,Cowgirls of the Rodeo, she donated her archive of research material to the National Cowgirl Museum and Hall of Fame. This historian taught at the University of Texas at Austin for 36 years and has dedicated her career to preserving and recovering cowgirl history.